Mountain biker enjoys the trail loops in this park, from one crossing to the next. 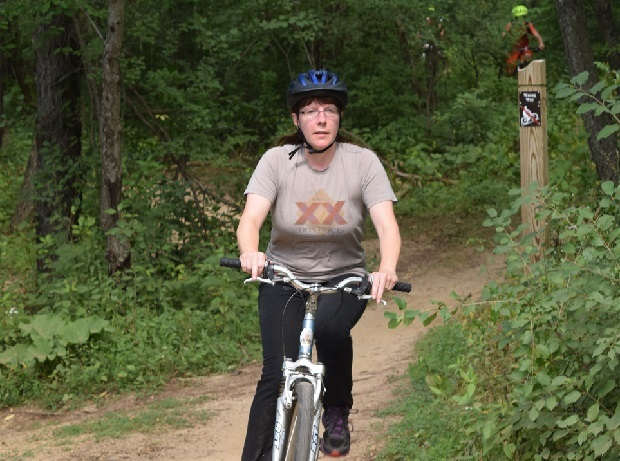 For more information on Minnesota’s Mountain Biking parks and events see MORC (Minnesota Off-Road Cyclists) website. This entry was posted in News and tagged family mountain biking, fun bike photo opportunities, mountain biking fun on October 4, 2015 by Russ Lowthian.